Home / Media / Blog / What is Call Tracking? 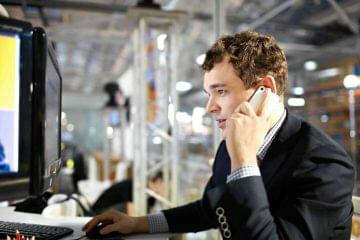 Call tracking is the process of learning about an incoming phone call and the technology that allows you to do it. This includes, but is not limited to, demographics of the caller based on the phone number, the location of the caller, and the time of the call. 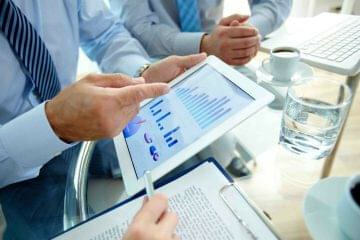 This information is imperative in determining marketing success in the modern world. The duration of the call. This may not seem important, but let’s say you’re examining analytics from your call center and you use an IVR. 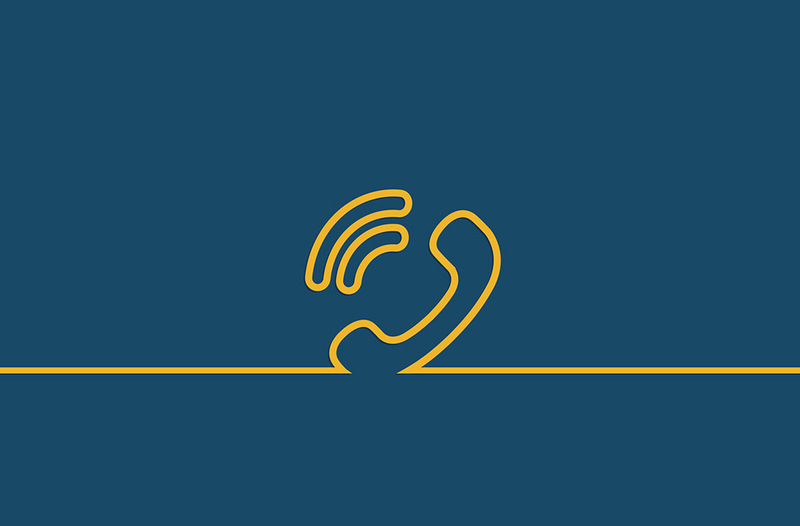 If you’re getting a lot of hang-ups at approximately the same time, this means you’ve got an issue in your IVR that is causing the caller to hang up. How Does Phonexa Call Tracking Software Work? Phonexa’s call tracking platform gives marketers valuable data on every incoming call. It starts by letting marketers know what aspect of their marketing campaign prompted incoming calls, be it a paid search ad, social media, or a call from someone visiting the website. 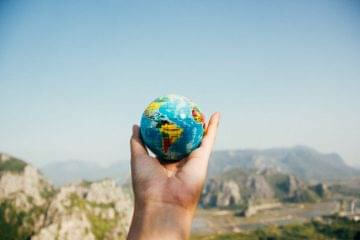 Every incoming call comes with useful data about the caller’s demographics: this information can be used to provide better customer service through an automatic call distributor. Phonexa’s call tracking platform collects data on all your inbound marketing calls and uses sophisticated analytics to give you the campaign insights you need. Call Number Tracking registers the incoming phone number using traditional phone servers. There is no web-based technology used in this process. 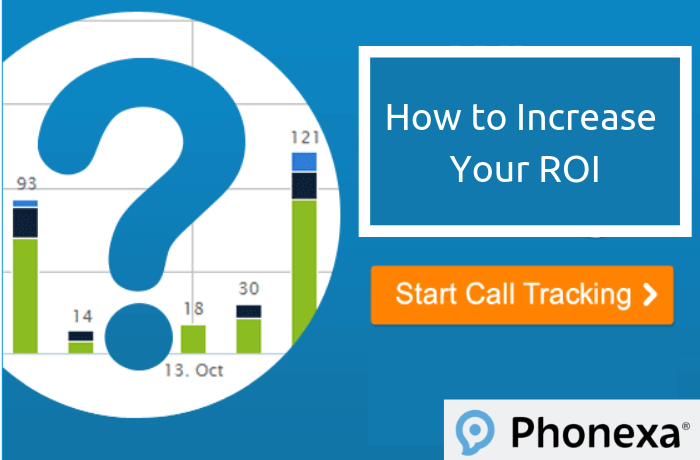 How Does Call Tracking Software Help to Improve Your Business ROI? Call tracking provides marketers with real-time reporting, which allows them to better analyze their campaign’s success as it happens. Marketers have the opportunity to reallocate resources to maximize every dollar spent. Call tracking gives marketers detailed caller profiles, making servicing every caller easier and more efficient. The data collected from call tracking can be used to provide insightful analytics reports that help marketers plan more effective campaigns. 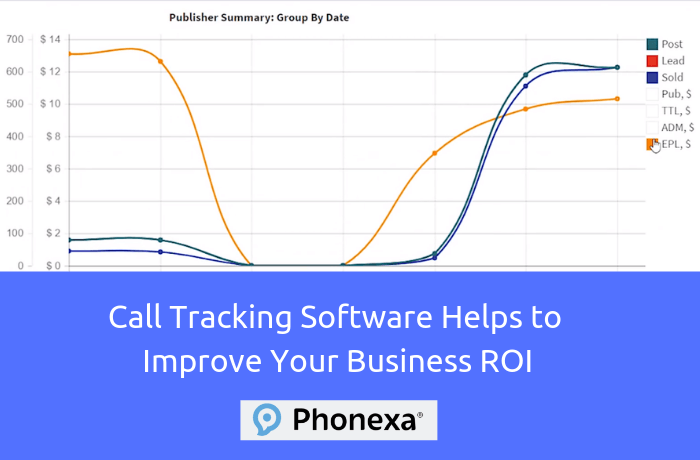 Phonexa’s call tracking platform allows marketers to increase their ROI with enhanced data analytics and granular reports that is not one size fits all. Phonexa’s customizable programmatic features are tailor-made for your needs. Waves is a predictive analytics solution that is unique to Phonexa. It utilizes predictive analytics to give marketers a clearer view of future trends so that businesses can form smarter long-term strategies. Call tracking helps businesses provide better customer service through interactive voice response that uses AI to assist callers. Call recording also allows businesses to monitor their caller interactions and better train customer service representatives. Automatic call distribution from Phonexa’s call tracking software handles incoming calls and makes sure each caller is paired with the right representative–saving time and money. Phonexa is an all-in-one platform for ROI-driven marketing. Companies that use a variety of platforms for their web leads, call leads, email marketing, and accounting can take advantage of Phonexa’s scalable all-in-one cloud-based platform. Phonexa optimizes web leads, call leads, and email marketing campaigns by delivering robust data analytic tools, granular data reporting, and unique accounting features which serve as unmatched differentiators when compared to our competitors. 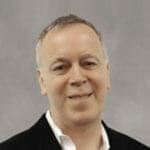 Does Call Tracking Differ from Call Tracing? In a sense, but more by traditional usage than by actual difference. Call tracking is the process of learning information about the caller for purposes of determining the levels of success or failure of a particular advertising campaign. Tracking takes place primarily while they’re on the phone. Call tracing sometimes refers to the process of identifying a caller after the call has taken place, but when it comes right down to it, there isn’t any real difference. The most important thing to remember about call tracking is that it’s not really about the call or the phone. It’s about the caller. A more accurate term might actually be Caller Tracking!